Modena - 6591 Eckersley Road, Richmond, BC V6Y 2L7, Canada. Strata Plan EPS73, 3-4 levels, 50 condos and townhomes, built 2010 - located at the corner of Eckersley Road and Cook Road in Richmond. 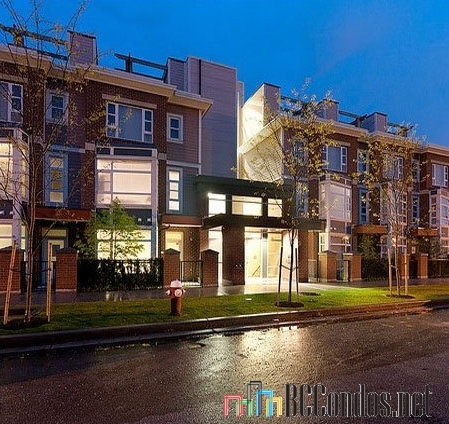 Developed by MacLean Homes Ltd., Modena consists of 3 buildings with 37 condos and 13 three-level townhomes at 6611 and 6591 Eckersley Road and 6600 Cooney Road. Featuring the brick facades and planter boxes of classic brownstones styling, Modena has become a prominent addition to the trendy Brighouse neighborhood of Richmond and is conveniently located near Richmond's mecca of shops and services. Inside, the Modena homes feature cozy fireplaces, wide plank laminate flooring in main living areas, ceramic tiles in foyer, kitchen and bathrooms, LG appliances, granite countertops in kitchens, ceramic tiles in kitchen backsplash and bathroom tub surround, and beautiful bathrooms with deep soaker tub, square, under mounted sink, and marble counters. 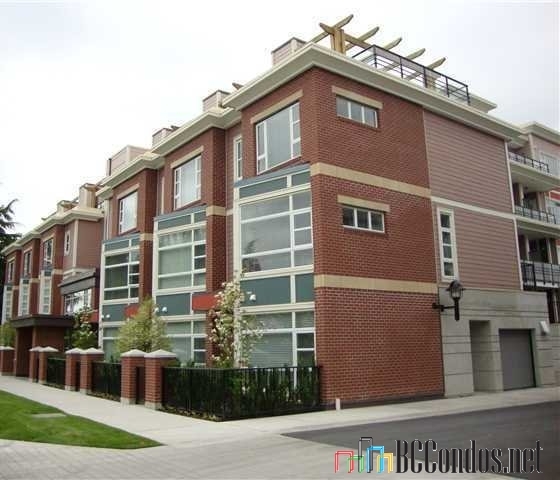 The building also has spacious balconies for all condos, private front entry and yard area in addition to a rooftop terrace in all townhomes, bike storage, lush landscaped courtyard, and the latest rain screen system. Conveniently located in the heart of Richmond, Modena is less than two blocks to the Canada Line Brighouse Station; there are Richmond Center, Yoohan Center, Aberdeen Center, Richmond Library, Brighouse Park and many gorgeous restaurants. Cook Elementary is right across the street, and Kwantlen University College, MacNeill Secondary School, and Garden City Community Park are just minutes away. 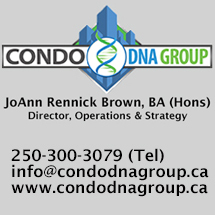 Modena is managed by Crosby Management 604-689-6942. 2 cats or 2 dogs allowed, rentals allowed.